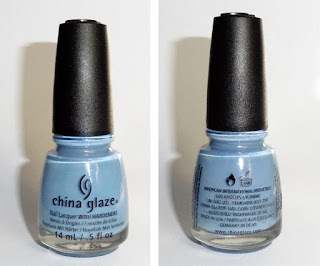 Today I will show you this blue-lillac nail polish of China Glaze. 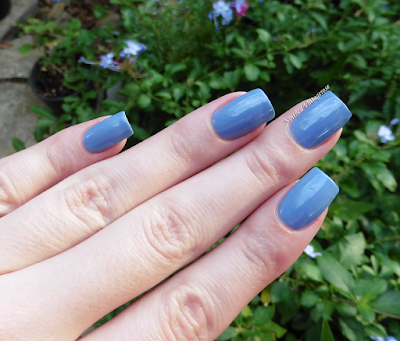 I am talking of Fade into hue, a nail polish from the the collection of Spring 2013, but I have bought but only recently. It's a creamy nail polish with a good pigmentation. It's almost opaque with only one coat however I have applied two to obtain full coverage. The formula and the application were good. The brush is ok but it's not very wide. Dark navy blues and these kind of blues are definately my favorite! It's soft and cute! Amo le lacche China Glaze e questo è un bellissimo colore!